Wherever you go, whatever you do, the 1. 8 oz. Wherever you go, whatever you do, the 1.8 oz. 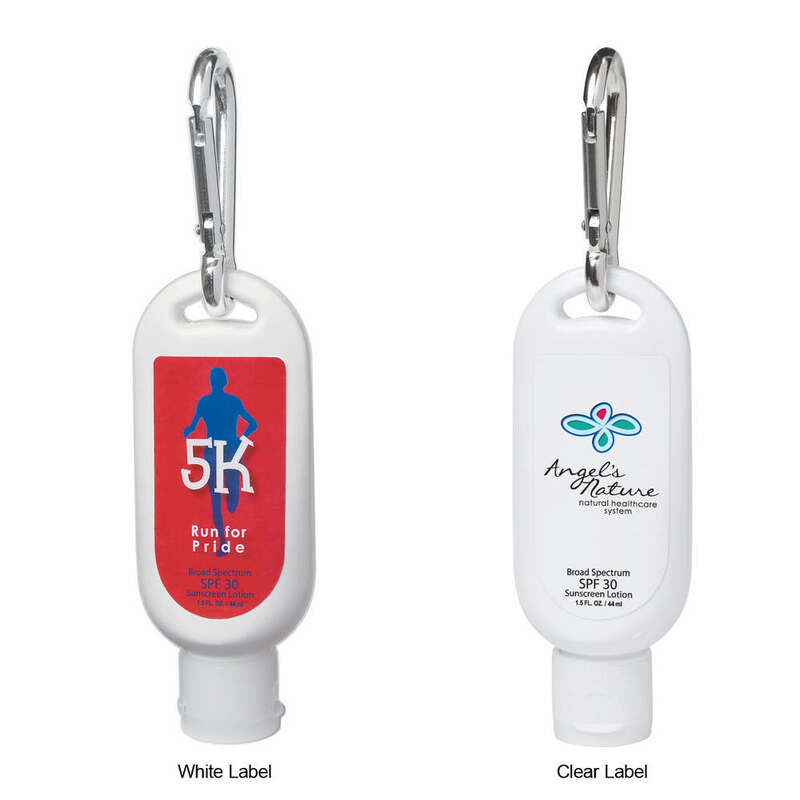 SPF 30 Sunscreen with carabiner will be there for you. The sunscreen contains broad spectrum formula that protects the skin against both UVA and UVB rays. This reduces the risk of sunburn, skin cancer, and premature skin aging. It has a carabiner for easy attachment to briefcases and backpacks. The bottle is available in white and has a flip top lid for convenient usage. 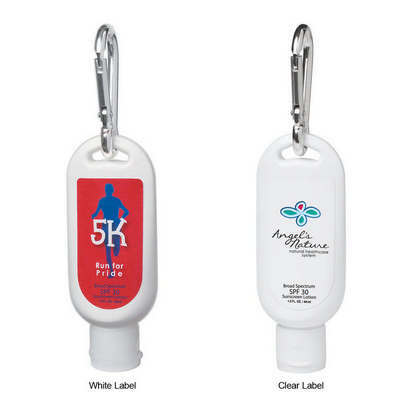 Imprint your company’s logo and tagline on this sprayer to boost your brand’s image and value.